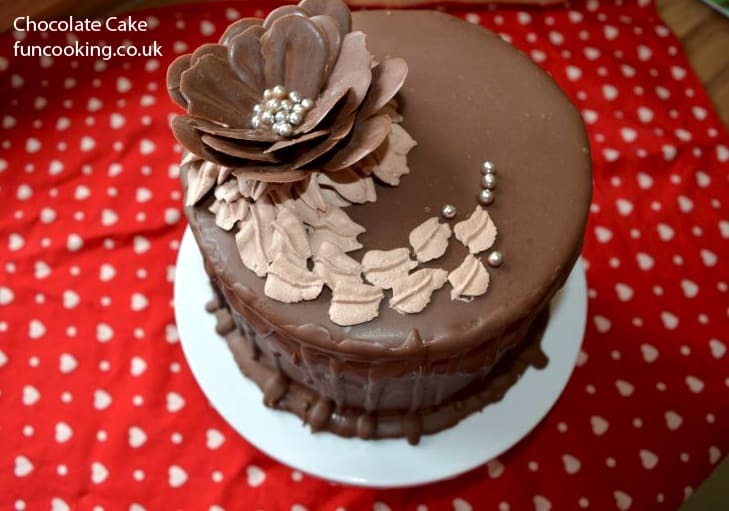 Chocolate Cake with Chocolate genoise sponge, chocolate fresh cream and chocolate covering. 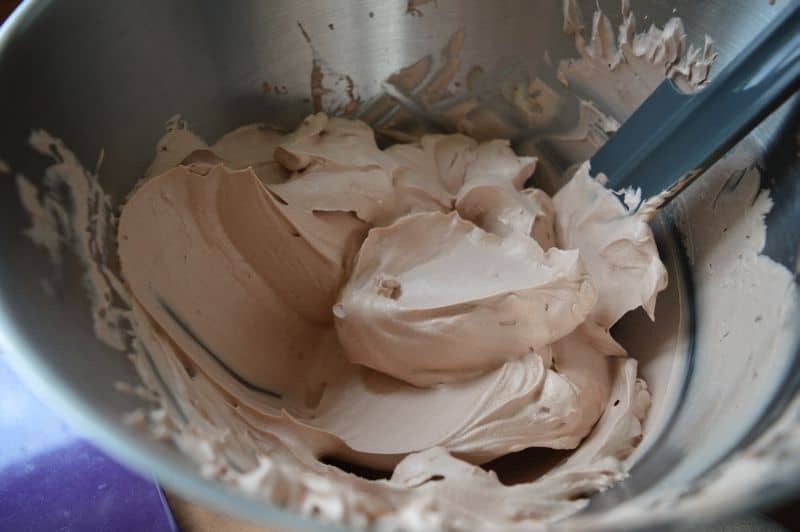 I am using nondairy cream in this recipe you can use any whipping cream you like. 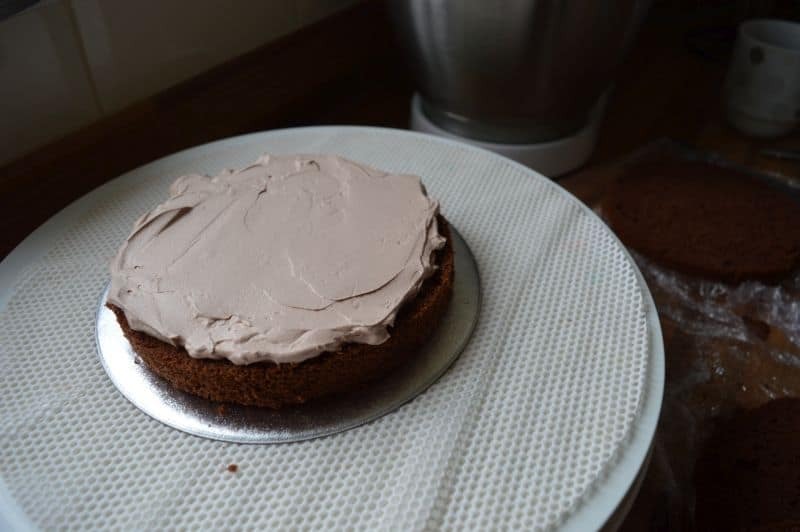 Also that cream is a little sweet so I am not adding too much icing sugar. 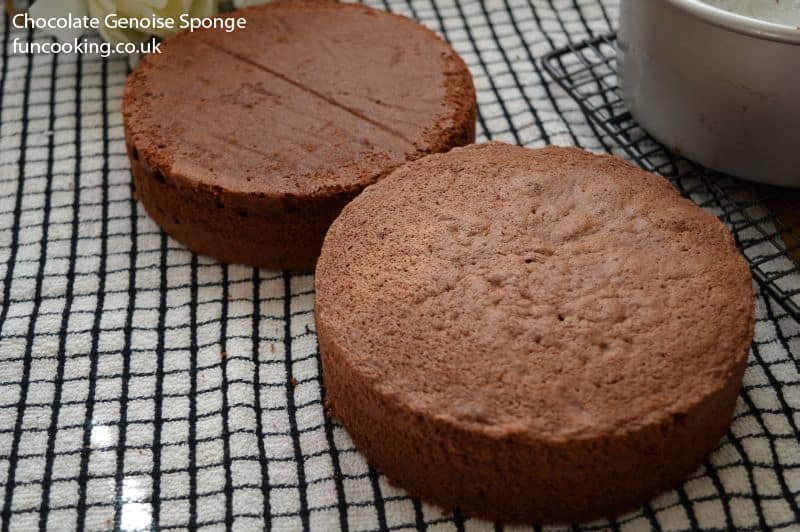 You can adjust this according to your taste.Brush your sponge with sugar syrup to keep it moist. 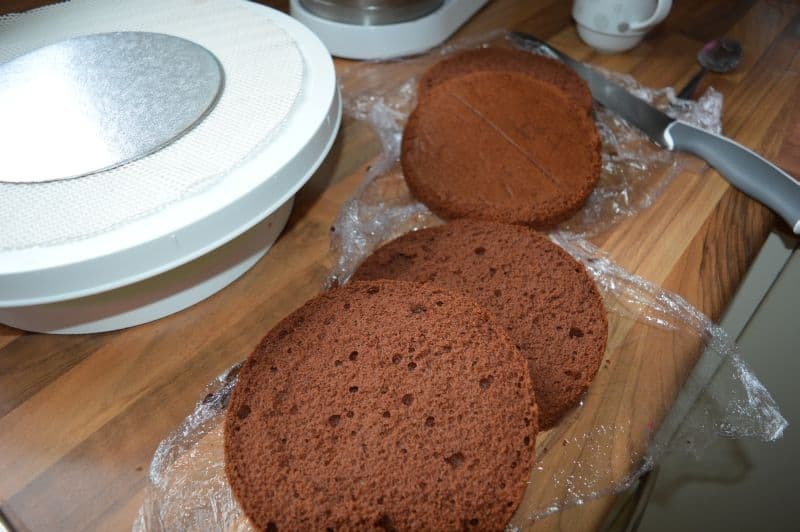 First make Chocolate Genoise. 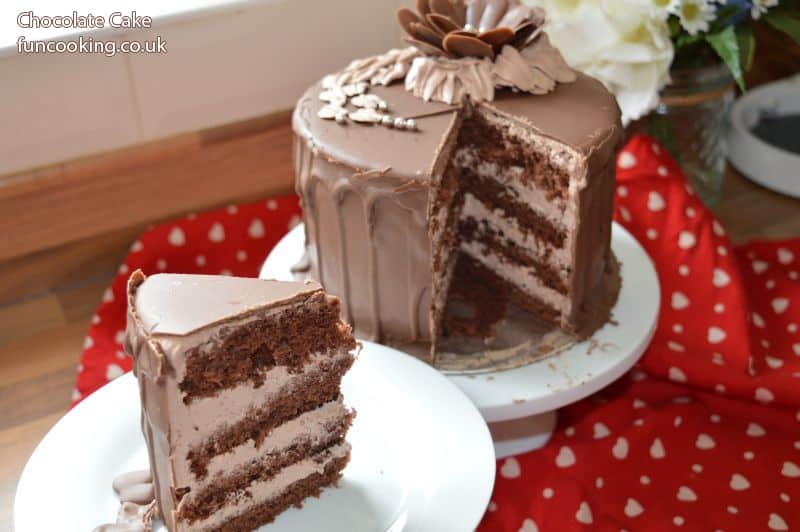 Click on the picture for recipe. 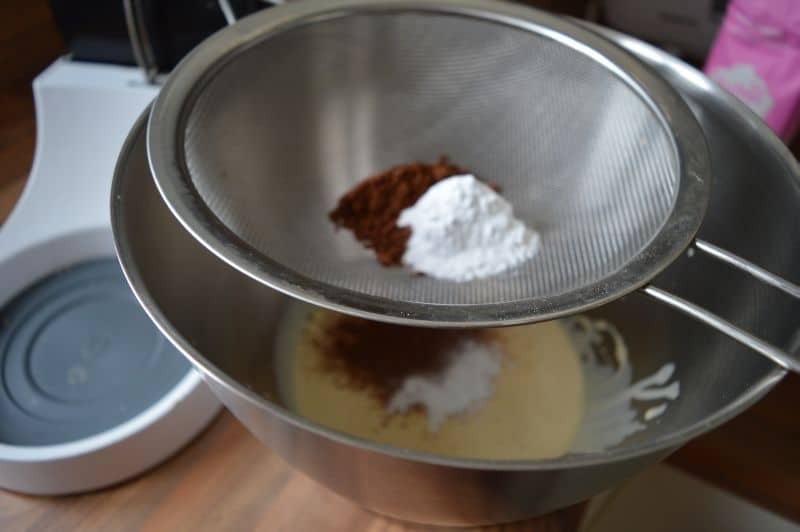 Sift icing sugar and coco on cream. 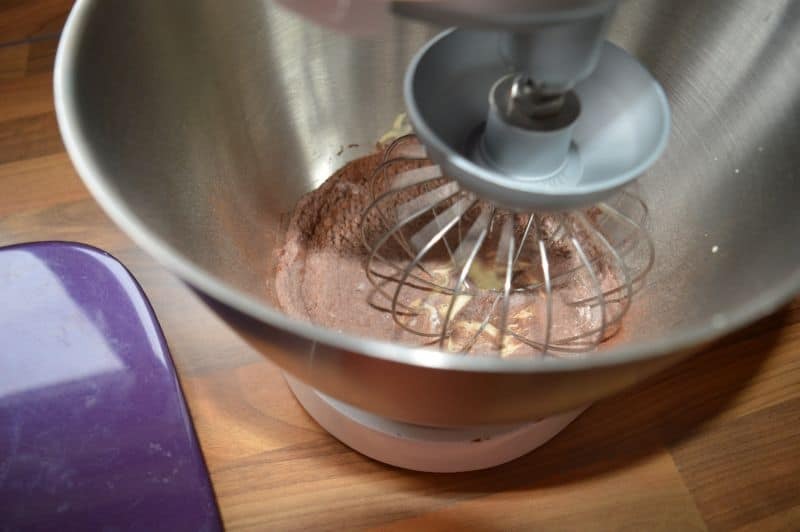 Beat it with whisk attachment. 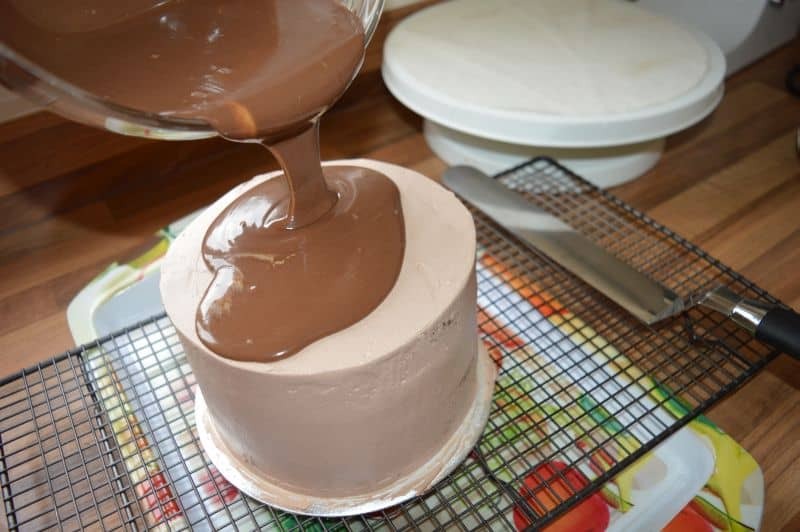 Chocolate cream is ready, keep it in fridge until you use it. 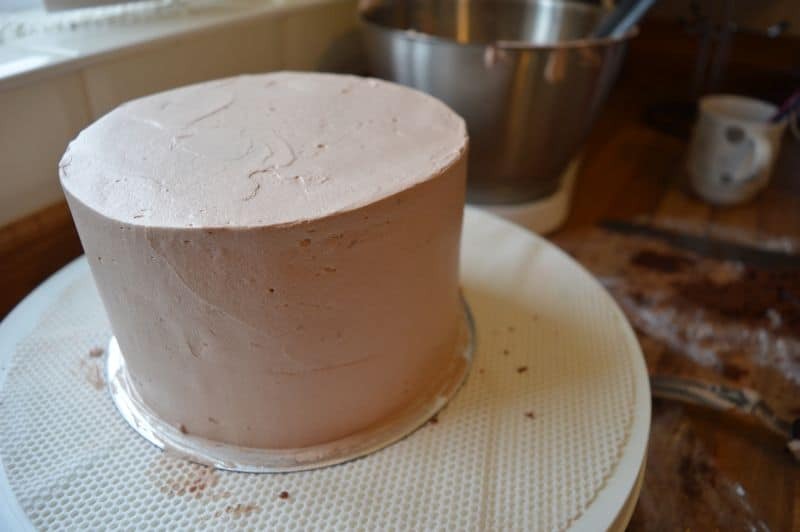 Keep 1 layer of sponge on cake board. Brush your sponge with sugar syrup. 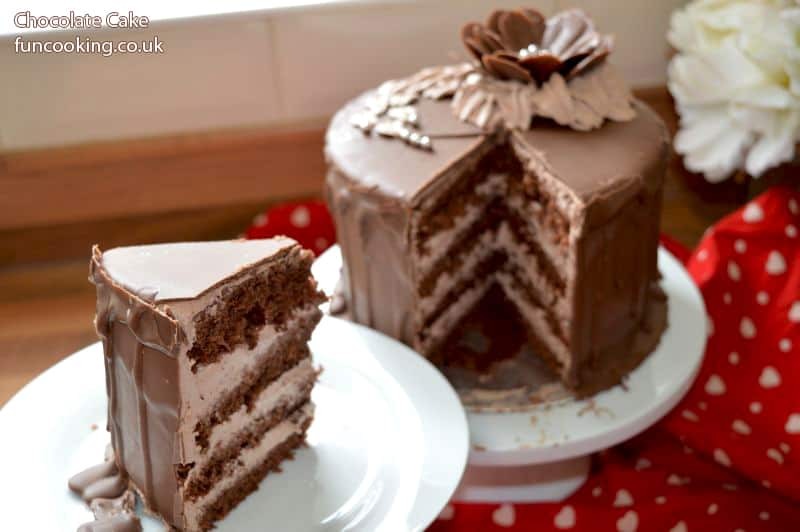 Layer chocolate cream on it. 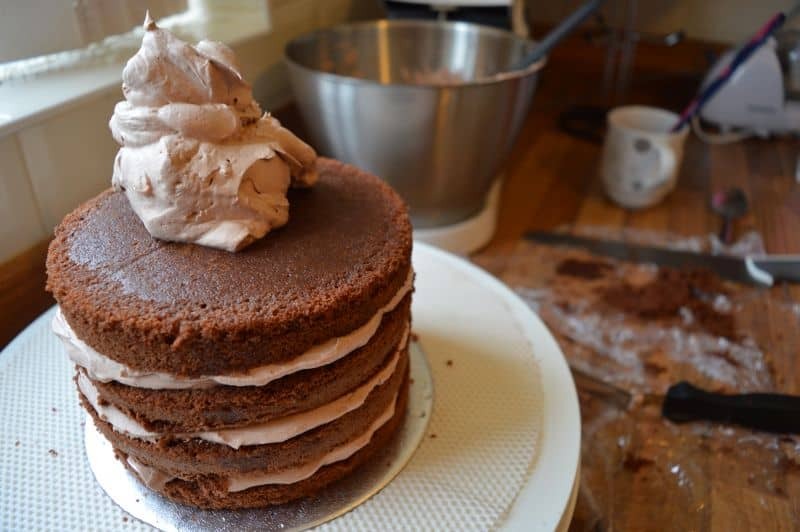 Cover the cake with cream . You can serve it like this. 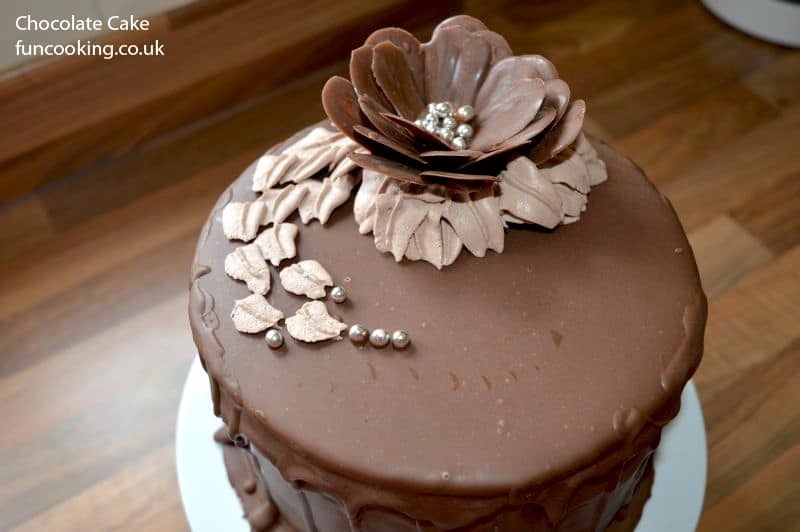 Now keep it in fridge and make chocolate covering for the cake. 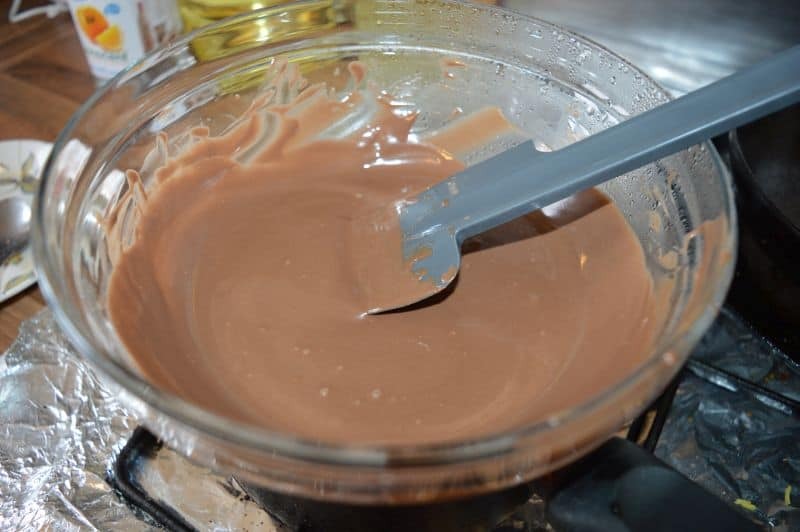 Melt chocolate and butter in microwave or over a pan of boiling water. Be careful, water should not touch the bowl. 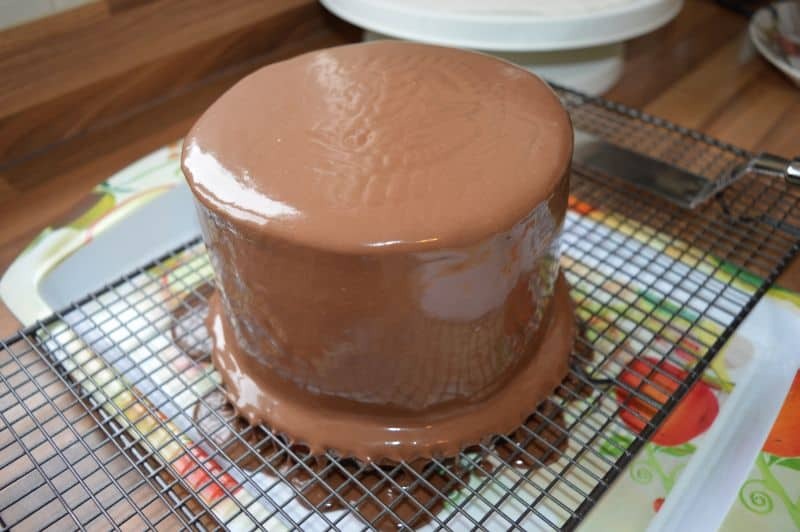 Let it cool slightly before pouring over the cake. 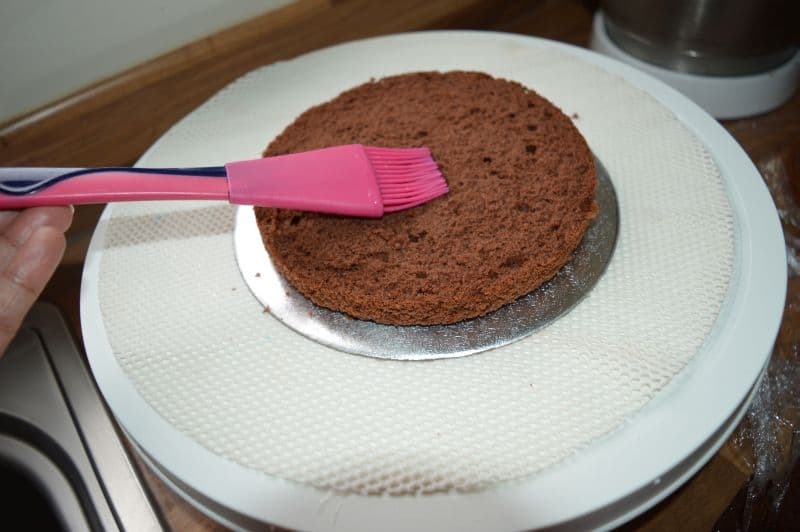 Keep the cake cooling rack onto a tray. Place your cake on it. 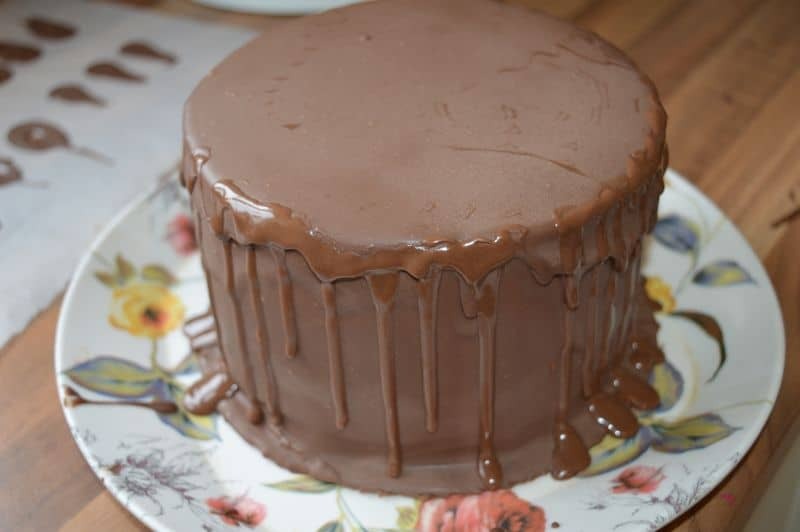 Pour chocolate on it. Keep the covered cake in fridge. 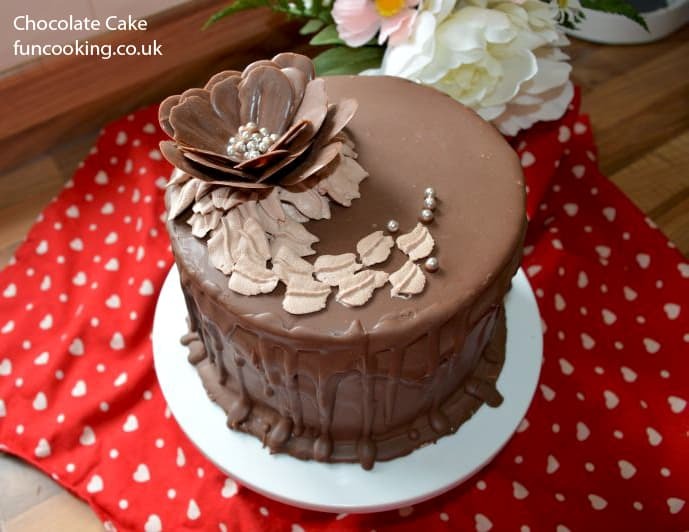 I also gave this cake a drip effect with the same melted chocolate. 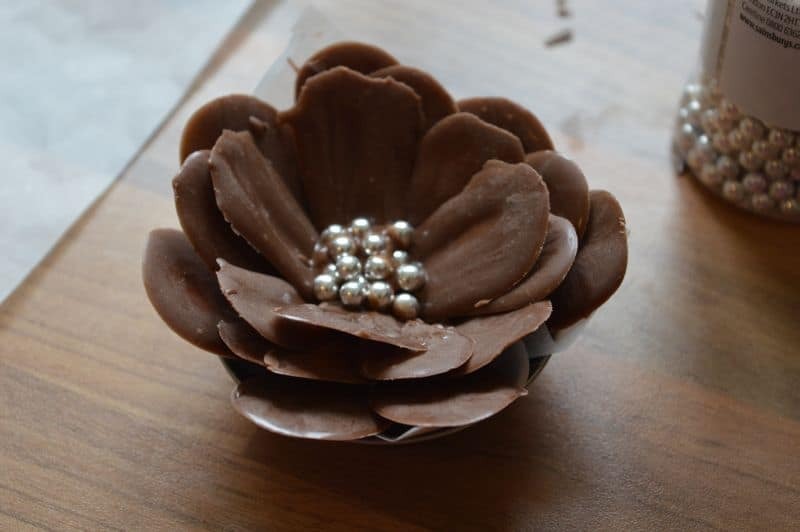 Make this chocolate flower for decoration. Click on the picture to see how I made this.